Taking its title from the lead character in Bertolt Brecht’s 1932 play Saint Joan of the Stockyards, Joan Dark evokes theatrical structures to navigate the slippage between objects and language. 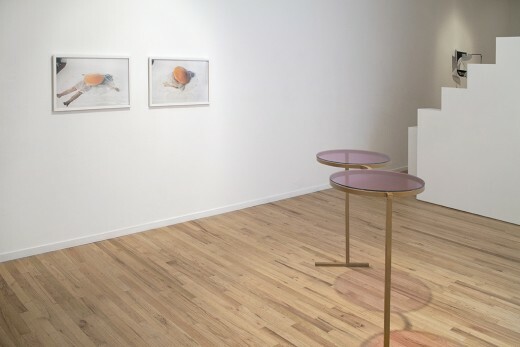 With an emphasis on the role of writing within the exhibition space, Joan Dark presents the works of six artists that plot the dialectic of the utilitarian and the lyrical. Joan Dark can be seen as both a title and a character; a reified individual whose agency and identity is both fixed and malleable. Carole Itter is an artist, writer, performer, and filmmaker based in Vancouver. Solo exhibitions include Metallic: A Fish Film, grunt gallery, 2007; The Pink Room, grunt gallery, 2000; The Float, Or Gallery, 1995; and Rattles, Western Front, 1984. Her work was also included in WACK! Art and the Feminist Revolution at the Vancouver Art Gallery in 2008. Itter’s work is included in the collections of the Canada Council Art Bank, the Vancouver Public Library, and the Vancouver Art Gallery. Tiziana La Melia is a visual artist living and working in Vancouver. 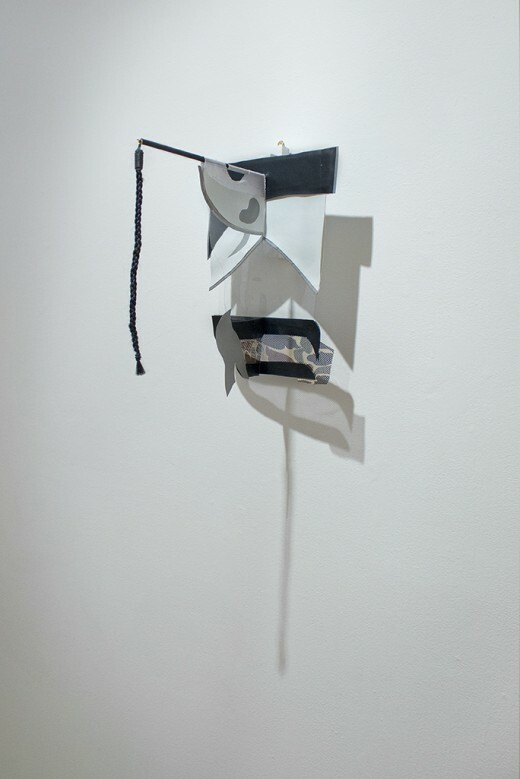 Her artistic practice spans the mediums of painting, sculpture, writing and performance. She received her MFA from the University of Guelph in 2011 and her BFA from the Emily Carr Institute of Art and Design in 2008. 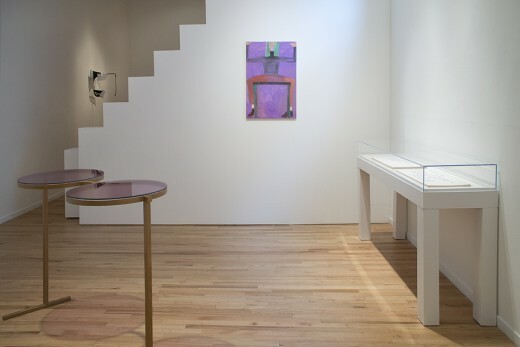 Recent solo exhibitions include Neck of Thirsty Flower, Exercise Gallery, Vancouver, 2012; Table of Contents (Accompanying Poem), Clint Roenisch, Toronto, 2011; and The Hands of V&U, G Gallery, Toronto, 2011. Li Liao is a visual artist currently based in Shenzhen, China. 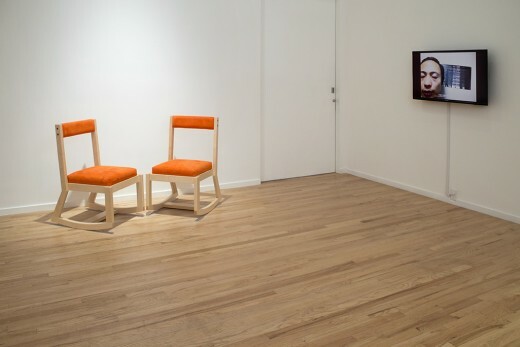 Liao’s art experiments with social systems and customs using his self as subject and object. 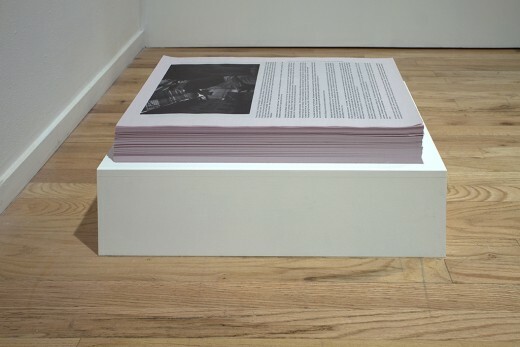 Liao’s recent exhibitions include Art is Vacuum, Whitespace, Beijing, 2012; and Spring, Para Site Art Space, Hong Kong, 2012. Li Liao was a finalist in the 2013 Hugo Boss Asia Art Award for Emerging Chinese Artists. Ariana Reines is a New York based poet. She has published several books of poetry including Coeur de Lion (Mal-O-Mar, 2007; FenceBooks, 2011) and The Cow (Fence Books, 2006), and her play Telephone produced by The Foundry Theatre in 2009 received two Obie Awards. She has presented performances at the Solomon R. Guggenheim Museum, MoMA, The Swiss Institute, and Stuart Shave Modern Art. Current projects include The Origin of the World, a pamphlet commissioned by Semiotext(e) for the 2014 Whitney Biennial and Mortal Kombat, a kung-fu drama, for the Mouvement Biel/Bienne Festival in Switzerland, August 2014. 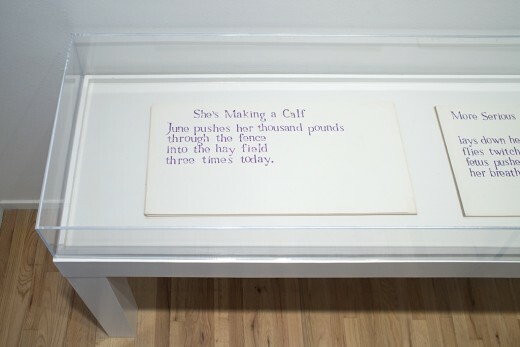 Bunny Rogers is an artist and poet who lives and works in New York, where she is currently in residency at the Queens Museum of Art. 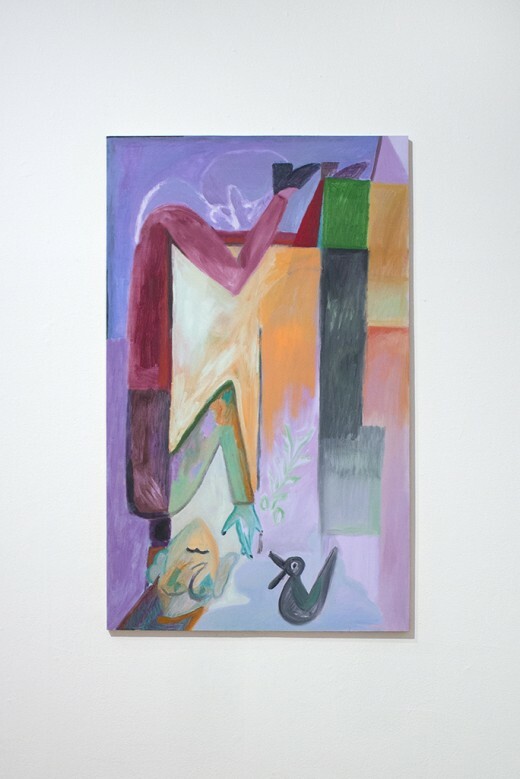 Recent activities include a solo show at Appendix Project Space in Portland, Oregon; an exhibition, with Benjamin Asam Kellogg, at Sandy Brown, Berlin; and a multimedia installation at 319 Scholes, Brooklyn, with Filip Olszewski. A book of her poetry, My Apologies Accepted, is forthcoming from Civil Coping Mechanisms. Walter Scott is a Vancouver/Montréal based artist working in writing, illustration and sculpture. His ongoing comic book series, Wendy, follows the fictional narrative of a young woman living in an urban centre, whose dreams of contemporary art stardom are perpetually derailed. 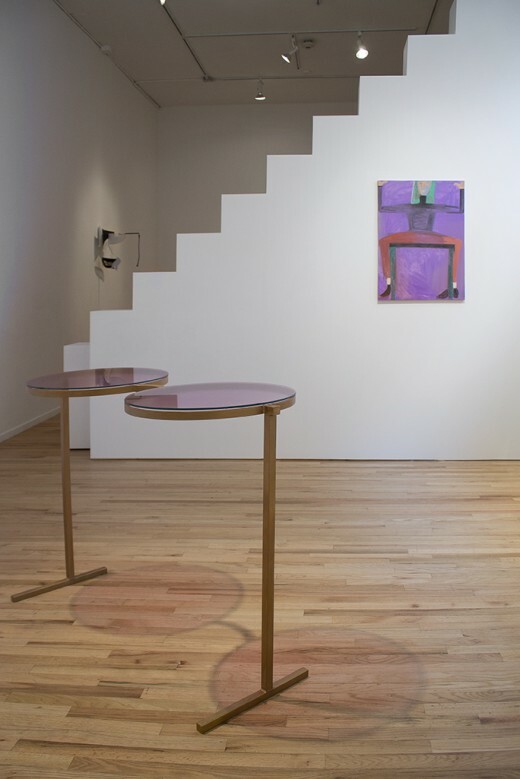 Recent exhibitions include Mood Valleys, Shudder Gallery, Vancouver, 2012; and Cracker Barrel, Macaulay and Co. Fine Art, Vancouver, 2013. 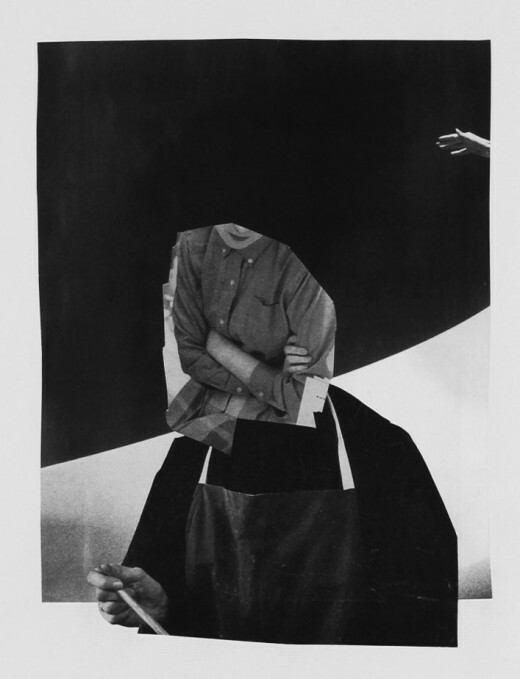 Tiziana La Melia, “Surface Instruction”, collage on paper, 2011. Image courtesy of the artist. 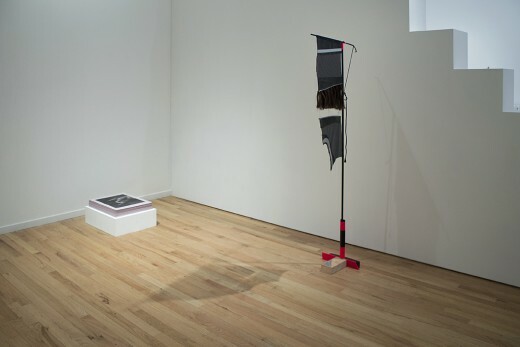 Joan Dark (installation view), Western Front, 2014. Photo credit: Maegan Hill-Carroll. 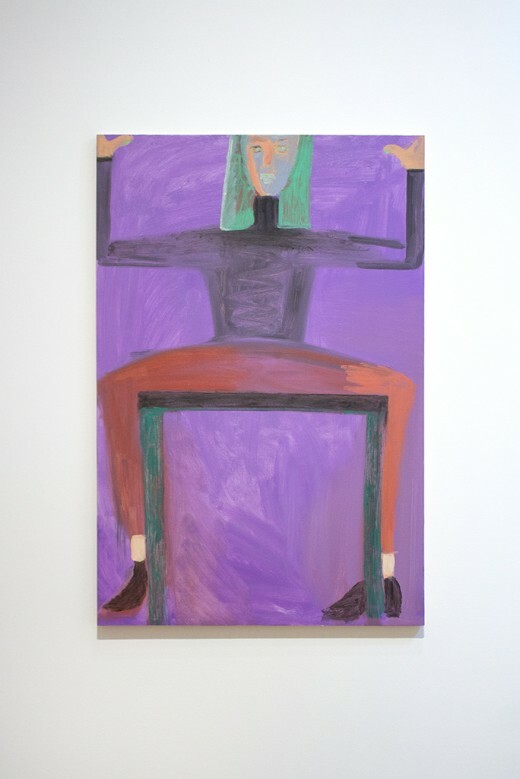 Tiziana La Melia, “Holding on to the part”, oil on panel, 2014. Photo credit: Maegan Hill-Carroll. Tiziana La Melia, “Turtle neck”, oil on panel, 2014. Photo credit: Maegan Hill-Carroll. Carole Itter, “Barnyard Stories”, lino stamps on paper, 1972. 65 pages, a page turned each day. Photo credit: Maegan Hill-Carroll. 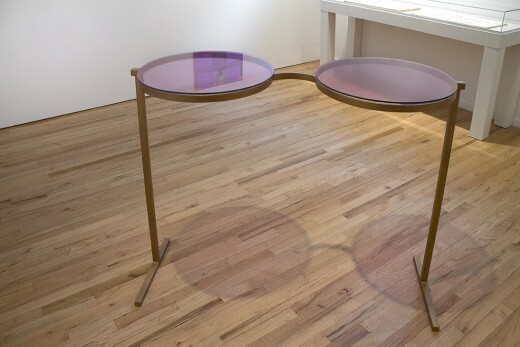 Tiziana La Melia, “Aquarium club console (janis)”, steel table, glass, film, latex paint, 2014. Photo credit: Maegan Hill-Carroll. 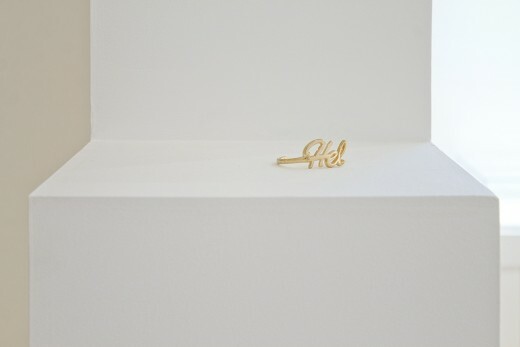 Ariana Reines, “Hel”, object purchased at Forever 21 & subsequently destroyed, 2014. Photo credit: Maegan Hill-Carroll. 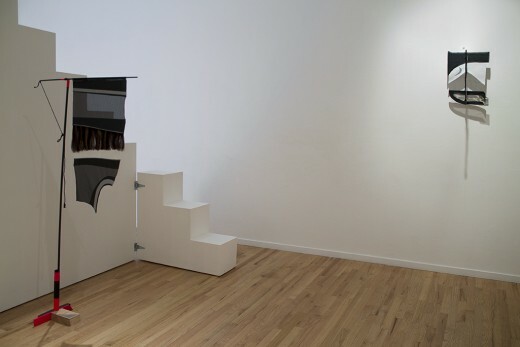 Walter Scott, “Epilogue: Winona’s Return (Saturn, And Her Father)”, wood, acrylic, vinyl, jersey, human hair, reflective tape, 2014. Photo credit: Maegan Hill-Carroll. Ariana Reines, “FOREVER 21″, ink on newsprint, 2014. Photo credit: Maegan Hill-Carroll. 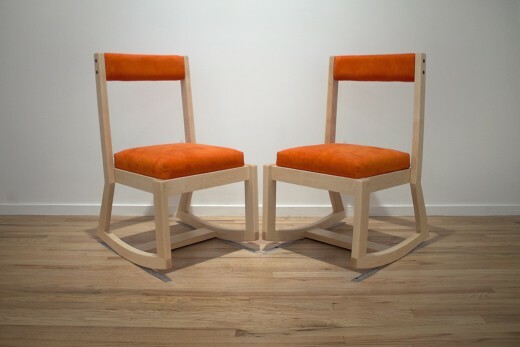 Bunny Rogers, “Clone State Chairs (Version A)”, maple, faux suede, wool, hardware, wood ash, 2014. Photo credit: Maegan Hill-Carroll. 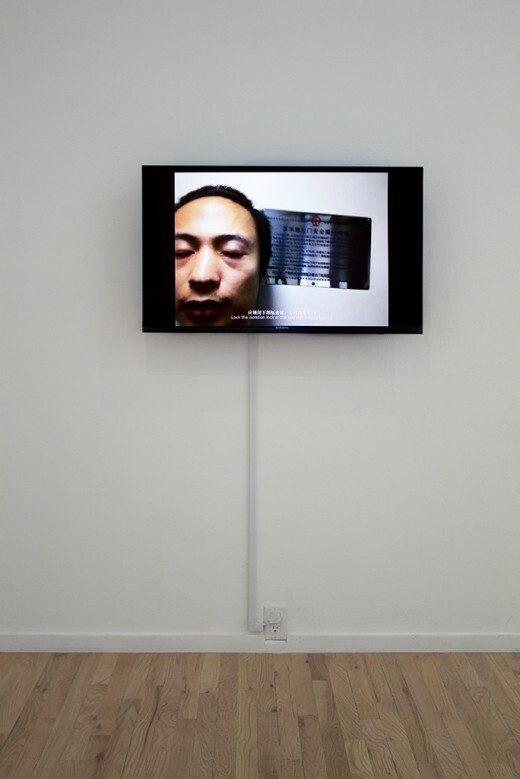 Li Liao, “Sierra Door Safety Rules”, single channel digital video of performance, 2012. Photo credit: Maegan Hill-Carroll.